The Martian follows Mark Watney, one of the first astronaut to walk on Earth but also probably to die there… After a huge accident caused by a dust storm, his crewmates think that he’s dead and take off without him. He is now alone on Mars with a very limited ammount of food, water and oxygen supply, and Ares 4, the next mission to Mars is planned to arrive in… four years. 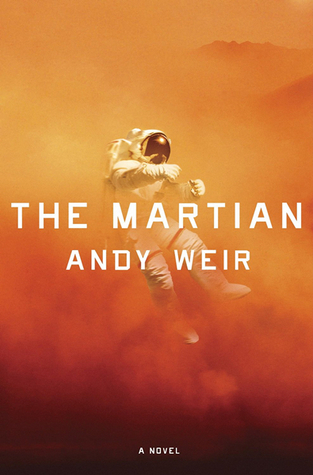 All of this to say that even if The Martain was not 100% accurate (a dust storm of this magnitude can’t happen on Mars because of its thin atmosphere), the book was great at making you believe and understand cool concepts simply yet really accurately. Also, this book was funny. Not at all what you could expect about a story of man stranded on Mars ! At some parts, I was laughing at loud. At one moment, I was in the métro, and I had to force myself to supress a huge laugh (which rarely happen when I read a book, I can giggle but I don’t usually laugh this loud 😛 ). Mark Watney has now become one of my favorite book character ever and I kind of want to become his best friend. I don’t know if read a lot of YA but even if you don’t, I think that you may have heard about this. This book was published earlier this year and it received so much hype the moment it was released that it was insane. However some months later, it received a lot of mixed reviews from people I trust. Some loved it and other found it completely unoriginal. I had to read it to know where I’ll stand. This story follows a young teenage girl named Mare Barrow, she is a Red which means that she has red blood and in her world, it means that she is a lowcaste. The powerful people in her world are the Silvers because they have silver blood which allows them to have supernatural abilities. Some can controle nature, water, fire, metals etc… Everyone knows that only the Silvers have those abilities… except they don’t. Indeed our dear Mare, even if she has red blood, can control electricity and that’s not suppose to happen. I am going to leave this here so it doesn’t get to spoilery. 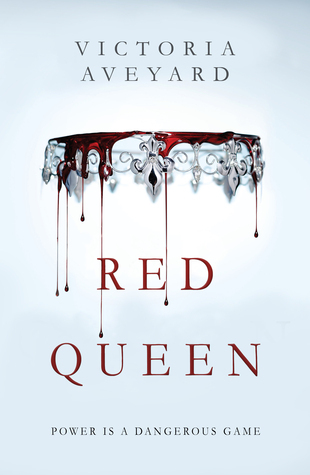 So where do I stand with Red Queen ? Pretty much nowhere. I am perfectly in the middle ! I liked this book, not a lot but it was really entertaining enough. The beginning really impressed me but then some elements annoyed me and I wasn’t as interested in the story. The writing style is good, in YA, it is usually simple but here, Aveyard’s prose created some really atmospheric moments. However I did have some echues with it. First of the worldbuilding and the pacing weren’t that good. We didn’t look a whole lot about the origins of the Silvers and how they ruled the world, some parts and characters growth were rushed which made some relationship completely unbelievable even though they could have been great like for example the ralationship between Mare and her teacher Julian. We were supposed to believe that they were great friends even if we did not have real moments to prove it… Also I felt like some parts of this world lacked of logic. For example, Aveyard create a society which is more or less based in the future but that still has medieval elements. Let me explain, some battles were fought with swords and the society was divided in houses where everyone dressed in gowns and old suits even though, they used computer, blood data-base, camera surveillance etc… Of course. The other thing that threw me off was the love triangle which wasn’t even a triangle at this point but more of love “diamond”, I mean I don’t know how you called it anymore when you have three boys for a girl. And what girl… Mare was not the most loveable character of them all. She made the stupidest decisions and never seems to gain neurons during the book ! Will I continue on with this ? Yes why not ? It was really fun and the ending intrigued me enough. I don’t do T5W on a regular basis because I don’t like all the topics but I am all about this one, let’s get started ! I read the First Law Trilogy this year and even though the last book of the trilogy left me a little bit bittersweet, I loved those books. While reading them, I said to myself that I will read one Abercrombie’s book a month but the ending of Last Arguments of Kings was a too much for me so I didn’t do it. Now I feel like I am ready and that I could read another of his books so I will probably read Best Served Cold near the beginning of next year ! This one was easy. 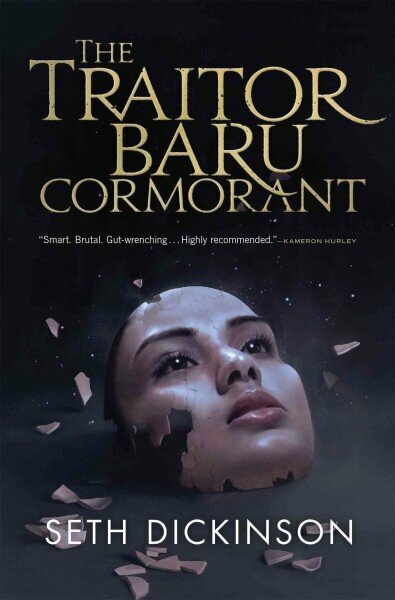 Go read The Traitor Baru Cormorant. (Or any of his work really). You won’t regret it ! This was also easy. Before 2015, I had never read anything by her. Now I have read all her six novels . I think that I could actually fangirl for ages about her because, she is a goddess. I stalk her blog like no one else and I am dying to read The Obelisk Gate (the sequel of the Fifth Season)… Fortunetely I haven’t read two of her shorter works based in her Inheritance trilogy world, so if one day, I can’t handle the wait, I’ll have more Jemisin to read ! I also have two honorable mentions : Marshall Ryan Maresca and Steven Erikson, they are both entirely different but still great ! I finished this book almost a week ago and I still don’t know how to review it. I will start to say that this is probably my favourite book of the year (I actually reread it just after the last sentence because it was just that good). This book follows one of the most complex and almost unloveable character in the history, Baru Cormorant. She grew up in Taranoke, a small country slowly devoured by the Empire of Masks also known as the Masquerade which slowly exported its goods and currency to Taranoke to finally build schools and install its cultural policies. Watching this new type of invasion growing up, Baru decides that she wants to integrate the system and destroy it from the inside before it is too late for her family and country. I know it is a short synopsis but I really think that you shouldn’t know too much while going into this story. Be warned though, as may have suggest the quote a the beginning of the book (and also this review), this is not an easy and funny read, but it is still an important one. I would recommend this book to you if you liked 1984 by George Orwell and A Song of Ice and Fire by George R.R. Martin because for me, this book is the perfect balance of the two while still remaining unique. So, have you read the Traitor by Seth Dickinson ? Do you sometimes books that are so good that you just want to quote the entire thing over and over ? I would love to know ! Thank you Netgalley and Pan Macmillan/Tor UK for this galley. Here above are my honest thoughts. Mine was good. I just started university so I didn’t have that much time to read as I would have hoped but, what can you do ? Anyway, here I am going to do a quick round-up of everything I have read this month including my favorite and least favorite books of the month. My favorite book of the month is…. As you may have guessed, The Traitor Baru Cormorant by Seth Dickinson. I received this book from Netgalley and since I finished it the last day of September, I didn’t have the time to write and upload a review but it should be coming soon. I had really high expectations for this but it was even better that I hoped. If you would like to read a mix of A Song of Ice and Fire and 1984 while still being a unique work, please, read this. My least favorite books were Addicted to You by Krista and Becca Ritchie and The Diosaur Lords by Victor Milan. The first because the story is about two addicts that live with eachother to hide their addictions to the rest of the world. The thing that really made me angry was that their addictions and relationship were romanticized in a really unhealthy way. Also the characters were just plainly stupid during the whole book so I won’t read the rest of the series. 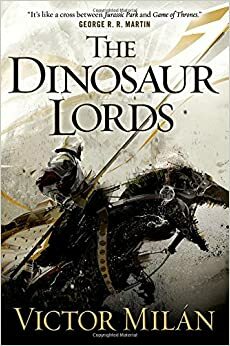 My second biggest disappointment was The Dinosaur Lords by I already did a full rant about this so if you are interested in my detailed opinions, please go check it out. However to do a quick overview of why I did not like it I will say six words : bad writing, sexism and not enough dinosaurs.